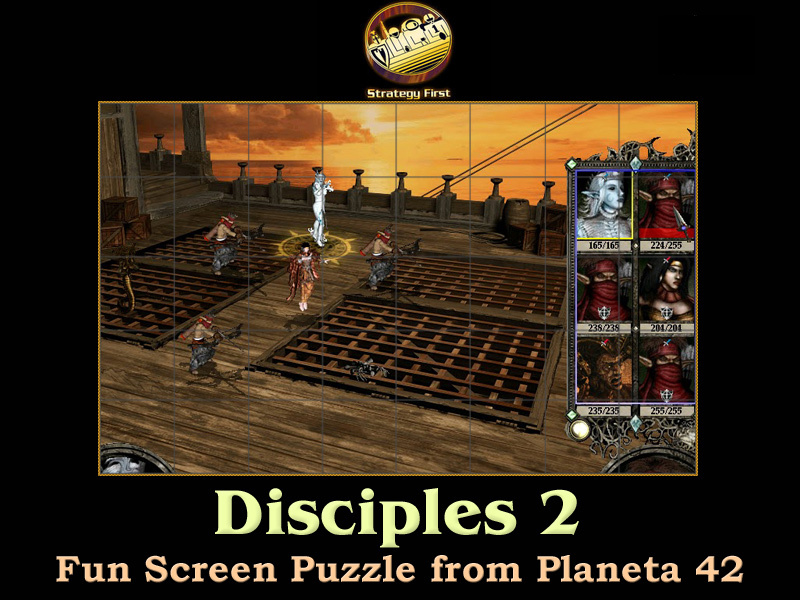 Disciples 2 is another wonderful strategy game. It combines a lovely 2D graphic, exiting turn based strategy, amazing atmosphere and extraordinary combats. There is an interesting campaign and a lot of original and user created single player maps. In Disciples 2: Rise of the Elves we can finally play with the elf race. This is the elf sorcerer hero, caring with her 3 super cool long range Marauders and two units that can paralyze or petrify the enemy. This party is actually quite invincible. The Medusa attack is Mass Petrify. If the enemy fail to resist, they loose their next turn, until the spell is broken. The Sylph on the other hand, can paralyze a single unit with a very high chance of success. The archers aim the strongest units, while the mage take mass damage. 6 Similar Games. Games like Disciples 2.